THERE ISN’T OR EVER WAS ANY MALWARE ON THIS SITE. 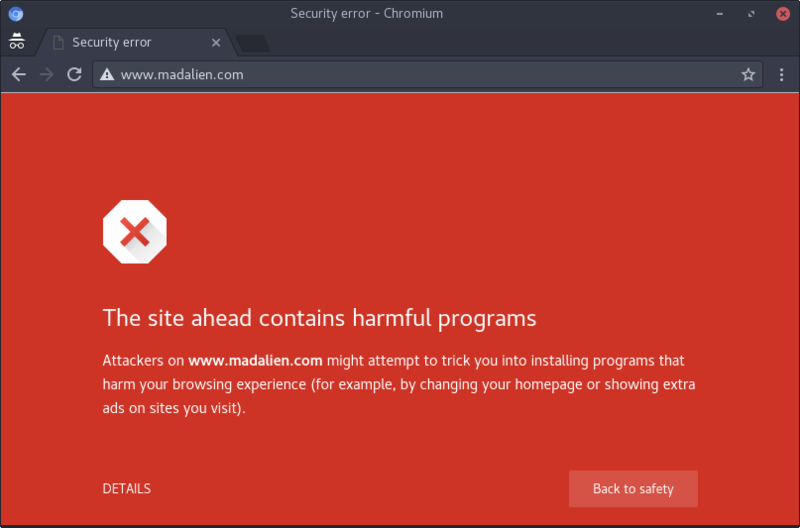 It was with great confusion that today I realized google had marked this website as malicious, it took me a while because I had the Security features on Chrome disabled on my machine. I quickly begun looking into what had happened, worrying I might had been hacked without realizing, but it quickly become clear what was going on. A few days ago I had restored a download link UnSafeDiscX, scanning the file against virus total which Google owns and likely uses to judge if something is malware or not was flagging unsafediscx as malware. The truth is that the file in question isn’t malware, but a set of tools to bypass the old SafeDisc CD copy protection. Tools that I figured might still be useful to people trying to run safedisc games on modern Windows 10 which no longer supports the copy protection. Some bad Anti Virus companies insist on incorrectly marking such tools as “generic malware” even though they’ve been around and used for over 15 years without problems. Regardless, I was left with no choice but to remove the link for the file from the front page and requested google to re examine my site in the hopes that it will be unblocked. Today I checked the web stats to see how may visits I had this month and to my surprise there were 540 unique hits. My first reaction was how? And the answer was in the stats for some reason GameFix has linked to me because of good old UnSafeDiscX so I’ve returned the favor even if I don’t think they will have many visits coming from here :). From time to time somebody asking me about how to crack one of the newer safedisc versions, today I would like to clear this up once in for all (try at least). First, I never made the actual tools that detected and removed the safedisc protection, credit for that goes to dec0de12, blackcheck, r!sc, waste_me and CirKutz (hope I haven’t forgotten anybody). So all I did was pack those tools together make a lame vb6 interface, add a little help file and create a pretty installer (using NSIS). The reasons I did this was to have everything handy for my self, then I passed it on to some friend’s that need to crack some safedisc games, them after one of my friends threaten to put it on the web if I didn’t I said why not and that why it was released, I updated the ui a couple of times added the safedisc 2.51 removing tool when it came out and stop working on it when boolseye hit the scene with it’s SafeDisc2Cleanner. Now the reality is that there are no tools to remove safedisc versions 2.6 up. With that said you can see I’m just “normal” guy, I’m no safedisc guru so please stop asking for new tools, I really can’t help you. If you really need an exe with out safedisc try visiting MegaGames and find a crack like everyone else.